REDEEM YOUR $100 GIFT CARD! Call Us Now To Make An Appointment! 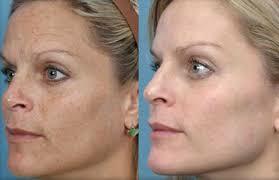 Have you been looking for an effective treatment for your brown spots? Even more than wrinkles, brown spots make you look older. Therefore, we have committed ourselves to finding the most effective technologies to help our clients. With advanced laser technologies and an experienced medical staff who are trained to utilize them, we can assess your brown spots and customize the most effective treatment for you. Say goodbye to brown, splotchy skin and say hello to a flawless complexion! Follow Skin Suite Rx on Social Media! Special offers are available through Social Media and not found anywhere else!